Woohoo, we’re excited that it’s Reptilian Tuesday! 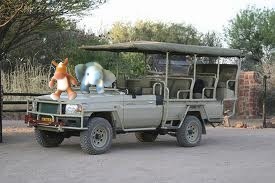 We’re going to southern Africa to meet an adorable little tortoise! Grab your sunscreen and gear and let’s go on an adventure! MEET THE SPECKLED PADLOPER TORTOISE! 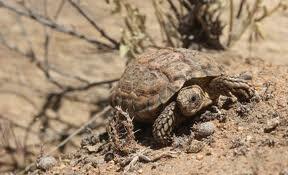 Speckled Padloper tortoises are the smallest tortoise in the world. 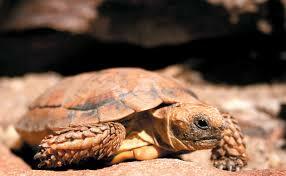 They are also known as the Speckled Cape Tortoise. The males are smaller than the females. Speckled padloper tortoises hide under rocks for protection. Their shells are covered in tiny black spots. These little tortoises are so cute! 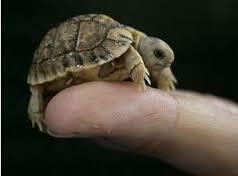 Tortoises come in such different sizes; from these tiny ones to the giant Galapagos tortoise! Which one is your favorite?